Dinos Avlonitis is the Quality Control Manager at Magellan Aerospace, a Corona, Queens-based corporation. Born in Corfu, Greece, Dinos has lived in New York since 1975 and worked in the Aerospace and Defense industry since then. His varied and extensive experience includes working on the F14, F15, F18, F22, F35 fighters; the B1 bomber; NASA’s Space Shuttle program; as well as Boeings 737, 747, 767, 777 and 787. He holds an AAS degree in Machine Tool Technology, and has taken technical courses in Industrial Management and Mathematics. Dinos is also an AS9100C-certified Internal Auditor, with domestic and international aerospace auditing experience, and is an ASQ-Certified Quality Manager. His bi-cultural background and focus on collaboration has led him to be involved in a number of leadership and volunteering roles across the Queens, NY community. Charles Boyce is the President of Boyce Technologies, and has over 25 years of experience in electronic design and communications construction. Before starting Boyce Technologies, he served as COO to E.A. Technologies, where he designed numerous integrated security and communications systems. While the thrill of design challenges motivates Charles, the real inspiration for his work is that the products that he designs impact lives. Charles is a graduate of New York University where he first received in 1990 a Bachelors with concentrations in Bioelectronics, Computer Science and Network Television Broadcasting. In 1994, also from New York University, he received his Masters in Telecommunications Engineering. Frederick D’Antoni is Special Project Coordinator at Architectural Grille, specializing in educational and professional development. His responsibilities at this custom metal fabrication company include the development and administration of a company-wide observation and evaluation program; the development and administration of a continuing education program for architects; the obtainment of relevant grants; and the establishment and administration of a school-to-work articulation with NYC Business Solutions and the NYC Board of Education. Prior to joining Architecture Grille, Fred had a 40-year career in education, teaching several subjects on the middle, high school, and college level including biology, chemistry, earth science, human anatomy and physiology, geometrical optics, and anatomy and physiology of the human eye. In addition, he presented numerous science workshops and seminars on both the national and international level. As a science supervisor and high school principal, Fred has developed and implemented a variety of innovative programs articulated with businesses, industries, and colleges and was an accomplished grants person. Al Mangels is President of Lee Spring, a global manufacturer of mechanical springs and related products that has had is headquarters in Brooklyn, New York since 1918. During his thirty plus years there he has worked in manufacturing engineering, design engineering and management system integration until ultimately becoming President in 1999. Since then, Al has become well versed as a champion of continual improvement activities such as total quality management, lean manufacturing and business process re-engineering, and has seen the company grow to five facilities in the United States as well as having locations in Mexico, China, India, Germany and the United Kingdom. Al has also worked closely with the Industrial Technology Assistance Corporation on continual improvement and workforce development projects for 15 years and has served as a member of the ITAC Board of Directors since 2009. Miquela Craytor is the Executive Director of the Manufacturing and Industrial Innovation Council at New York City’s Small Business Services Agency. She oversees the mayoral effort to bring systemic change to improve the business environment for Industrial Companies in NYC. Recently she launched ApprenticeNYC for CNC machinists in partnership with eight companies. Previously she was the Director of Industrial Policy at the NYC Economic Development Corporation. Her work there consisted of overseeing the city's revived industrial policy efforts. Projects included the city-wide Industrial Action Plan and overseeing the Futureworks NYC initiatives, a $13 million suite of investments in advanced manufacturing services. She was formerly the executive director at Sustainable South Bronx for over 3 years, and also served as the Senior Planner for Economic Development in the economic arm of the Bronx Borough President's office. Miquela is a nationally-recognized advocate for using sustainable development to address reinvestment in under-served communities. She received her BA in planning, public policy, and management from the Honors College at the University of Oregon and her MS in City and Regional Planning from Pratt Institute in Brooklyn, NY. 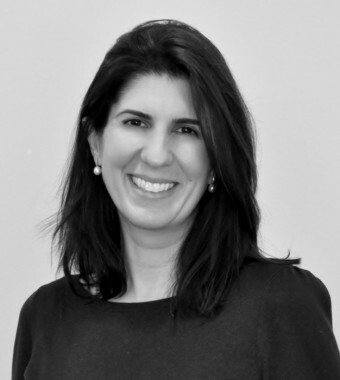 Lisa Futterman is the Regional Director for New York City within the Workforce Development Institute. Lisa facilitates assistance for NYC manufacturers so that they can address workforce needs. She connects with a range of New York City businesses to provide help with training, improving business practices and when appropriate, automation of parts of their production to create inefficiencies and grow. With a focus on workforce impact, Lisa coordinates WDI's interactive grants program that can assist companies with a range of projects that help them grow their businesses, train workers and add jobs. Lisa also collaborates with NYC government, unions, colleges, high schools, elected officials and community-based organizations to address issues around skills shortages and training development. Kinda Younes is ITAC’s Executive Director and brings to the organization over twenty years of experience in entrepreneurship, corporate development and operations management. Prior to joining ITAC, she was Chief Operating Officer of RevolutionWear, a successful startup combining innovative design with technology to create superior products in the menswear/athletic field. She previously worked as a management consultant at a number of technology and Internet startups, focusing mostly on operations management. Her prior experience includes working in PepsiCo’s Corporate Strategy department, and in Mergers and Acquisitions at Goldman Sachs. She holds a Bachelor of Commerce degree from McGill University (Canada) and an MBA from INSEAD (France).